Who can turn the world on with her smile? My BFF Amanda can light up a room, and melt the blues away and she doesn’t even have to toss her hat in the air. Not that I’ve ever seen her with a hat. 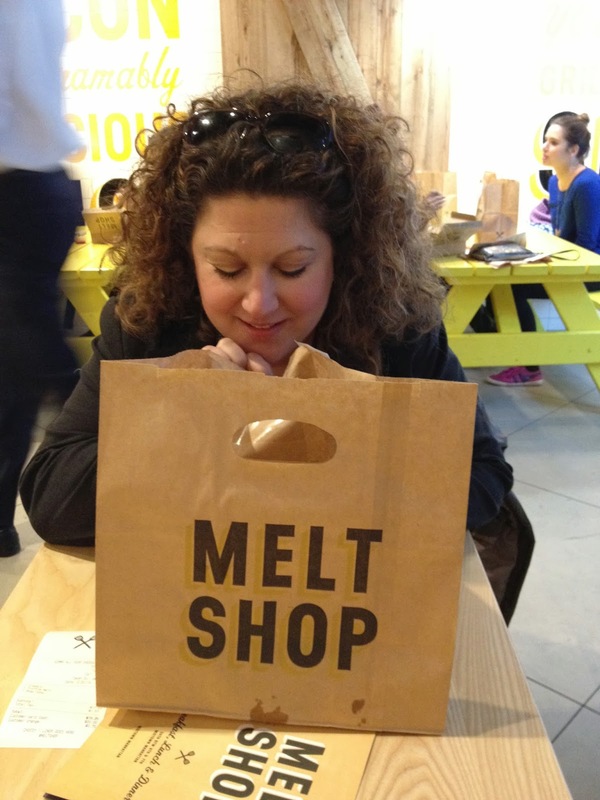 I am craving her luminosity as we slog through this long, cold winter, so we make a lunch date to pop over to the “Melt Shop” for grilled cheese sandwiches, a new arrival in our work neighborhood. The only thing more comforting than a grilled cheese sandwich for lunch is a date with Amanda. She’s let her fondness for me override her attraction for grilled cheese. She’s held off storming the Melt Shop solo until I was available. She made a pinky promise. I’m truly blessed. We cue up to place our order. 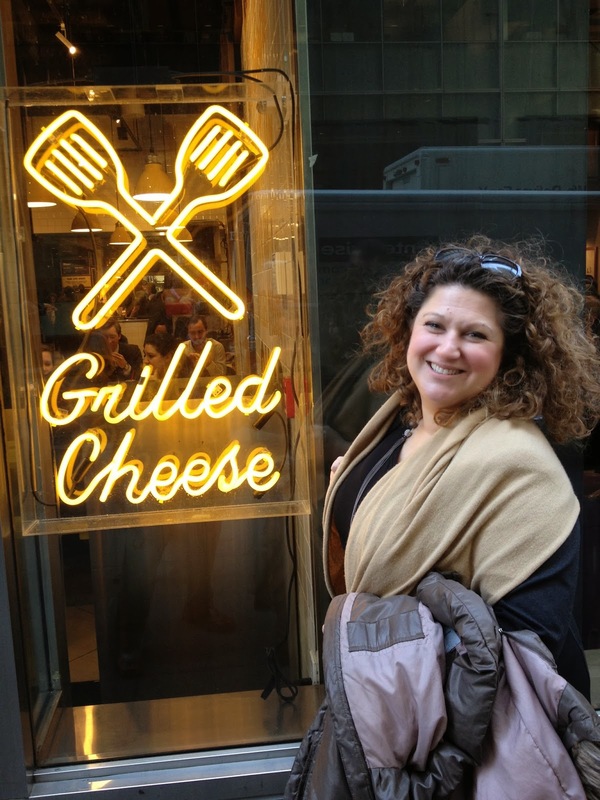 After some consideration, Amanda selects “The Classic” – cheese on white bread with tomato and caramelized onions. It’s kind of an elementary school throwback with a dollop of sophistication. 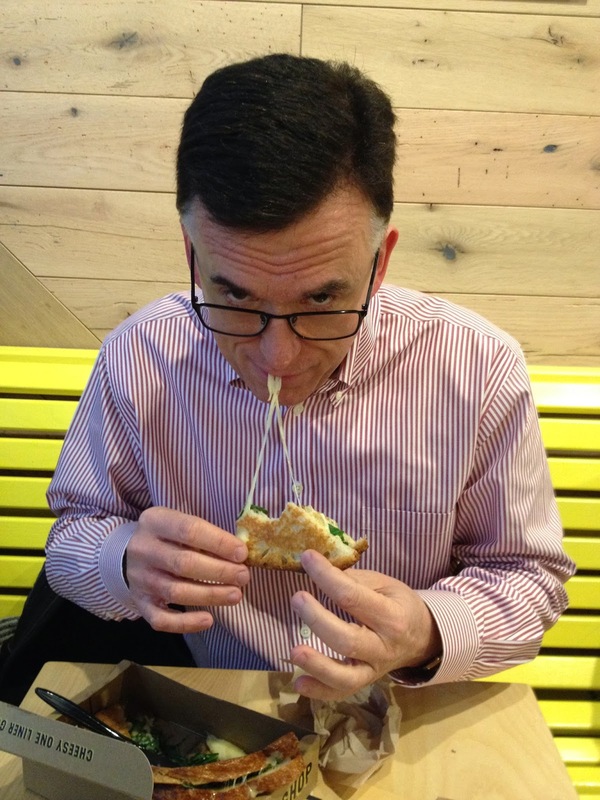 I go for the “Truffle Melt” – Havarti, truffle oil and arugula on sourdough. 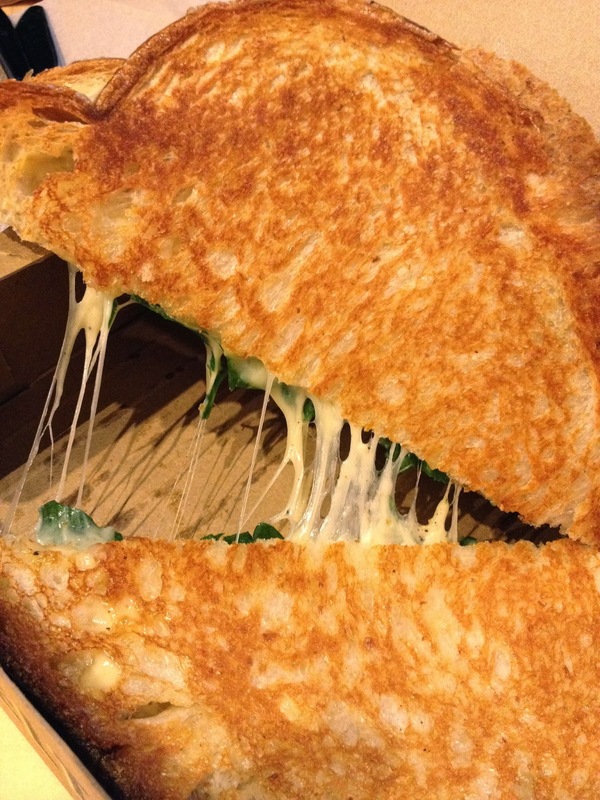 It’s kinda precious, and kinda noveau grilled cheese. As always, the lunch adventure rules apply. We have to share. Amanda snags a table, so we have a chance to sit and savor the cheese. 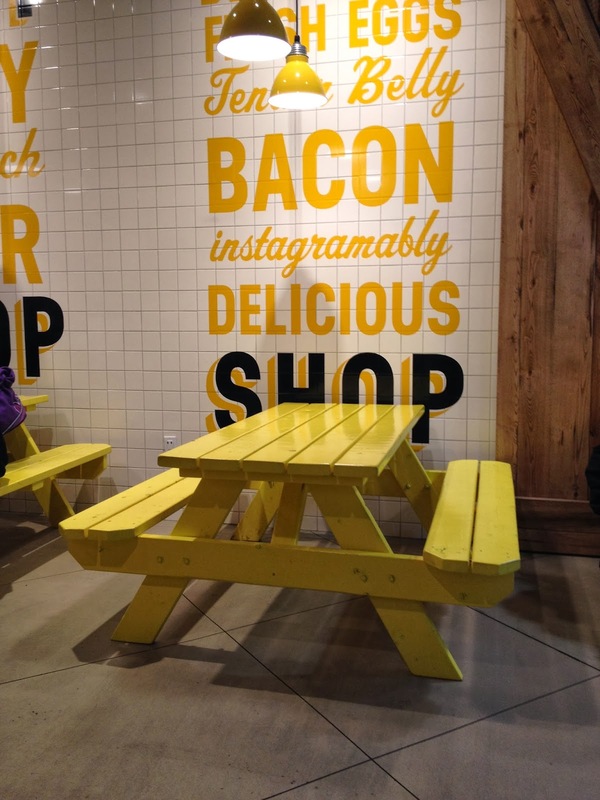 It’s surprisingly warm in the dining area – even warmer than the grilled cheese sandwiches. Amanda cuts her sandwich into quarters, because it’s easier to share, it’s very grilled cheese traditional, and as she puts it definitively, “I always cut my grilled cheese in quarters.” I follow suit with the truffle melt. Did I mention the side dish? 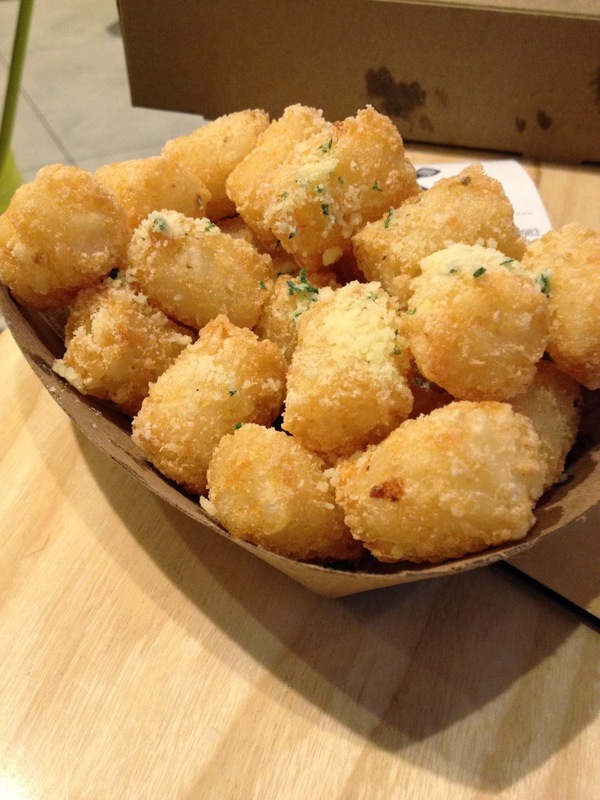 Some super cute, crispy tater tots that are downright yummy. While the tomato classic is a tad short of piping hot, Amanda declares, “Great flavor, and I like the bread to filling ratio.” She is clearly a grilled cheese connoisseur. The Havarti has just the right melted, stringy, pliability. My truffle addiction is in full gear. I could bath in it. Amanda is more reserved, but she thinks the truffle to cheese ratio works. “I like my truffle subtle, not noisy, intrusive and bossy,” she says. We spend a little time gossiping and pack away a healthy amount of grilled cheese. You would think all this lactose would satisfy, but it’s not quite enough. I make a proposition. “In a second,” Amanda replies breathlessly. There’s no debate about the flavor – Nutella-Fluff is the clear winner. I head back to the counter to place the order. I bring back two straws so we can share. Archie and Veronica, eat your heart out. The combination of Nutella, Fluff and a drizzling of chocolate sauce are deliriously good and enough to guarantee that our afternoon productivity will probably falter. 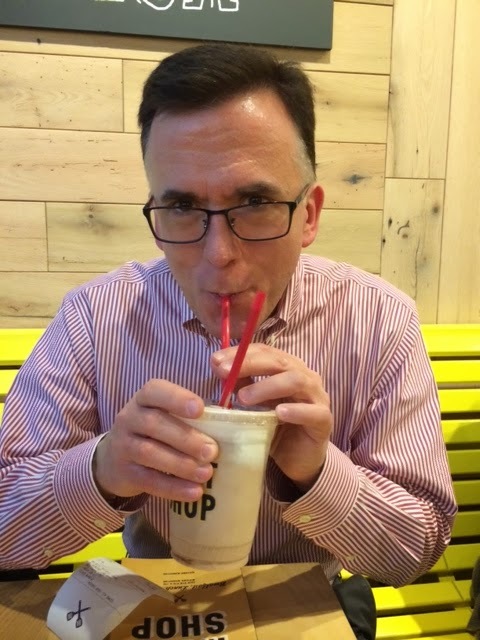 I ask Amanda’s permission to slurp, because you can’t finish a shake without slurping. 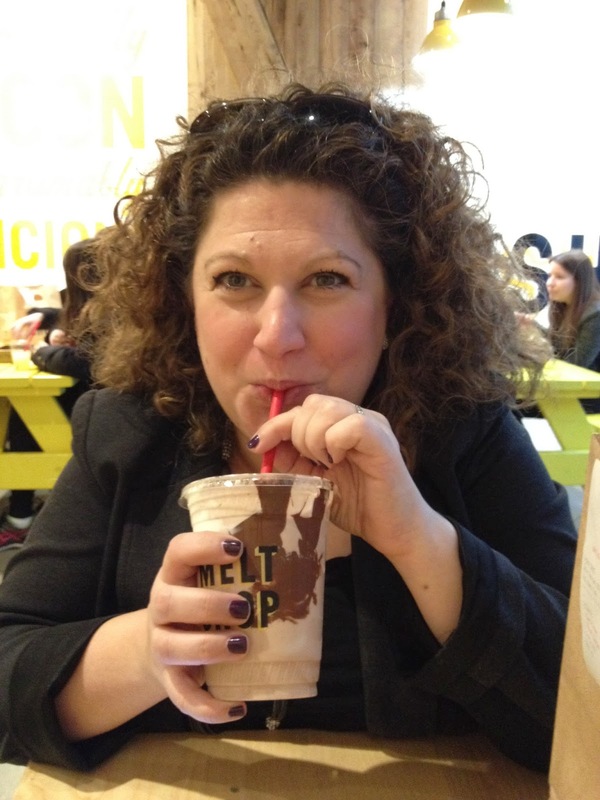 My BFF even approves of slurping milkshakes. My heart is like a warm and cozy puddle of delicious melted cheddar. No, I’m not talking about my skin, although the Polar Vortex has certainly caused a lot of drying and flaking. At the moment, I bear a striking resemblance to a lizard. Corbet is right. Dehydration is an age old – in fact, ancient – technique for preserving food. My first memories of dried food are tied to camping trips and the moon shots. I start to do a little research, and I soon learned that I could be looking at a technique that might help me preserve more of the harvest from Restoration Farm. I’ll be honest. My track record as a CSA member is pitiful. While I cook a lot of vegetables, and consume much raw, I’m often not on top of the huge amount of food I bring home. I’m ashamed to admit that a certain percentage goes to waste. So I’ve been spending the cruel, cold winter researching ways to preserve more. Canning is one option that I’ve gotten quite good at, and the conversation with Corbet and Orlandi pushes me towards a little experiment in dehydration. Who knew there were home appliances that could tackle this challenge? Now, some will ask if I really, really, really need another home appliance for the kitchen? Let’s face it – it’s my art, and kitchen appliances are my paint brushes. 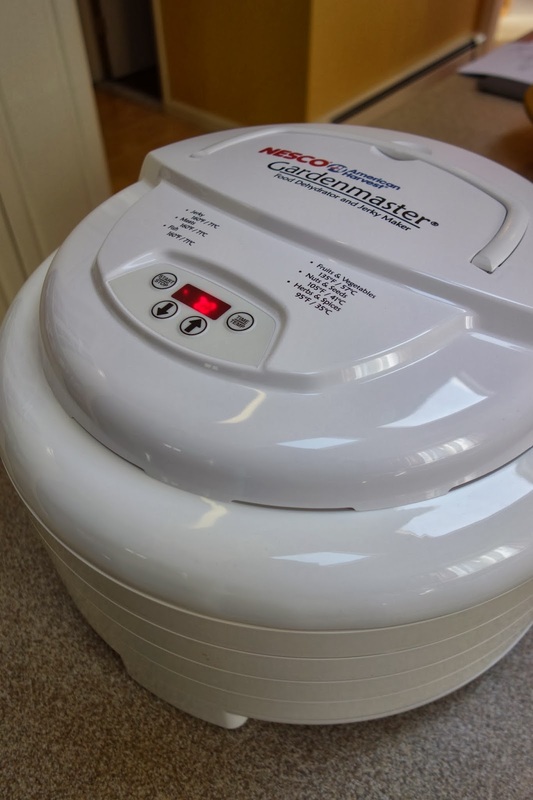 So, in a nanosecond, I have purchased the Nesco Gardenmaster Food Dehydrator & Jerky Maker. It kind of looks like a Lunar Module – and I may need the assistance of NASA to figure out where I’m going to store it. The device consists of several layers of mesh trays topped off with a fan and a temperature control setting. 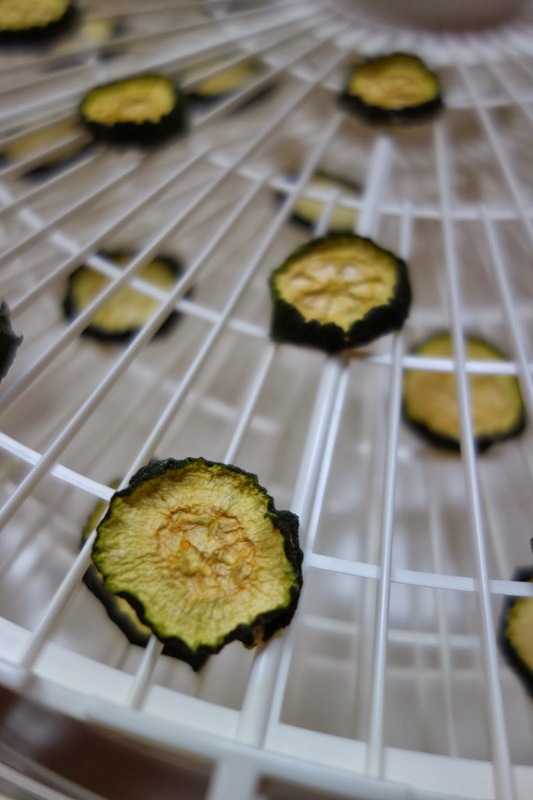 The Gardenmaster can be programmed for different times and temperatures, and the fan circulates air down over food that is layered in the trays, eventually dehydrating the fresh food. February – being the longest month of the year – is a good time to practice. So I purchase apples, carrots and zucchini so I can start rehearsing for the summer months. You need a bit of space for a Gardenmaster, and it can sound like somebody’s running a hairdryer for hours on end. Carrots take about six hours to dehydrate. Here’s the before shot, which begins with carrots sliced a ¼ inch thick, that have been steam for three minutes prior to dehydrating. The transformation is startling. What were once disks of fresh carrot, now look like the cubes in a packet of Cup A Soup. Zucchini also shrinks considerably. Here’s the fresh zucchini. Here’s the result after seven hours of dehydration. While I neglected to take a “before” picture of the apples, here’s the result after six hours of dehydration. So here are some initial impressions. Four zucchini shrink down to about a cup of dried zucchini chips. The shrinkage for carrots is even more dramatic. I will need to better understand the ratio between fresh food and dehydrated food, in order to effectively plan recipes. For apples, the size stays somewhat the same, eventually achieving a soft, leathery appearance. The taste is intensely apple, probably due to the concentrated sugars. The carrots, too, taste very “carroty” because of the high sugar content. So, what will I do with all this dehydrated food? Well, the apple rings will make tasty snacks, and the carrots and zucchini can be tossed into soups and stews. 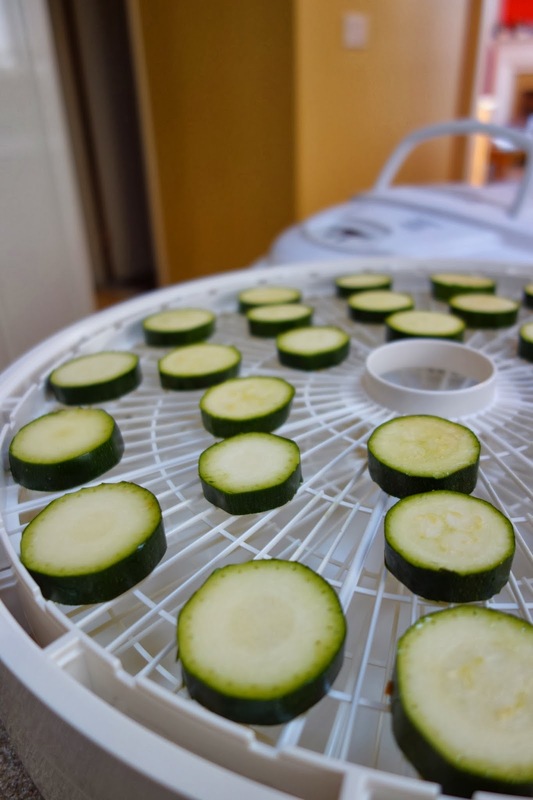 And, there’s an interesting cookbook called “The Dehydrator Bible” by Jennifer MacKenzie, Jay Nutt & Don Mercer, that contains over 400 tasty recipes using dehydrated foods. The liquid in the recipes rehydrates the food. But, that is for another post. For a more frosty take on food preservation check out my latest post for Edible Long Island. In this season of excessive snow and ice, perhaps the only thing that keeps me going is the knowledge that there will once again be another Zingerman’s “Bacon of the Month” delivery awaiting me at the doorstep. Bacon and hope spring eternal. My pal Zany certainly knew what she was doing when she arranged for a monthly gift of buttery rich fat and smoky goodness delivered directly to my front door. Delivery Two is Dry Cured Kentucky Smoked Bacon from the Broadbent Company in Kuttawa, Kentucky. The porky creation of Ronny and Beth Drennan, is dry cured for one week in a mixture of salt and sugar, and then smoked over hickory for 72 to 96 hours. So what kind of culinary adventure might be inspired by the delivery of my Dry Cured Kentucky Smoked Bacon? Perhaps the sugar cure is the connection? My recent adventures in jamming used copious amounts of sugar, so a batch of bacon jam might hit the spot. Of course, a pointed suggestion from my buddy Louise didn’t hurt. 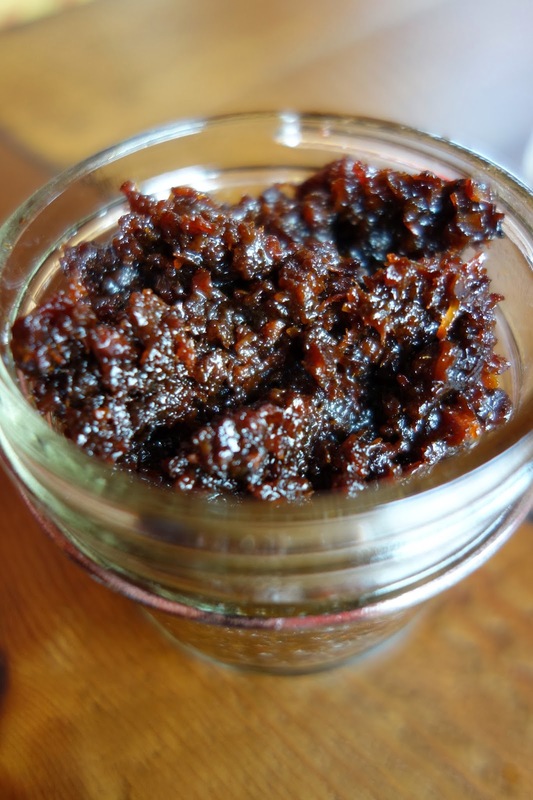 Savory bacon jam is less a traditional jam, but a nouveau jam – a dark and smoky, salty condiment that simmers briefly in the slow cooker and is stored in the refrigerator. The bacon is chopped and cooked until crispy brown, and then simmered with onions, garlic, maple syrup, brown sugar and brewed coffee. Perhaps I cooked mine a tad too long. It is more the consistency of a bacon tapenade then a jam, but no less delicious. A decadent indulgence, indeed. 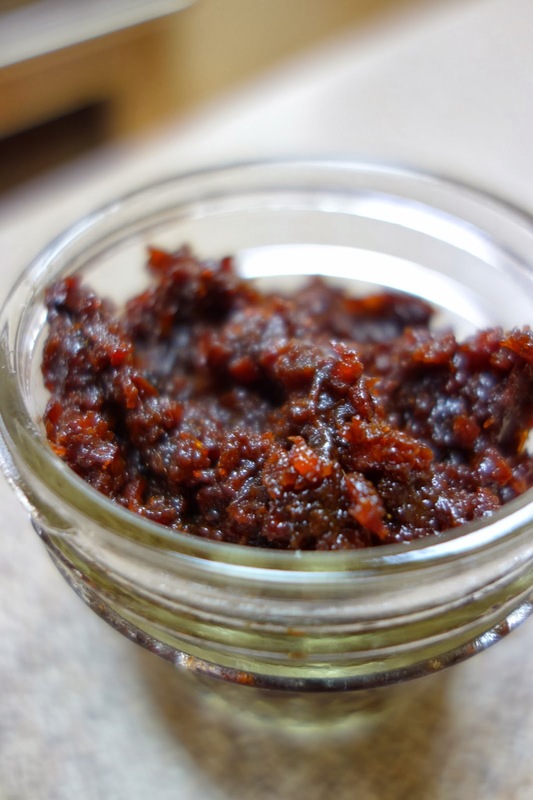 Recipes for bacon jam proliferate on the Internet. I found mine here. You’ll be happier than a pig in … mud … considering all the tasty options. Drop a dollop of bacon jam on a cracker with goat cheese, spread it as a filling for a hot grilled cheese sandwich, or use it as the secret ingredient in a savory omelet. Just don’t make a pig of yourself. With all my pastry affairs, it’s surprising I’d never hooked up with a French macaron. I mean, I’ve gone hot and heavy with everything from homemade Twinkies to Lady Baltimore Cake. It was high time I experienced the lusty passion of the French Macaron. 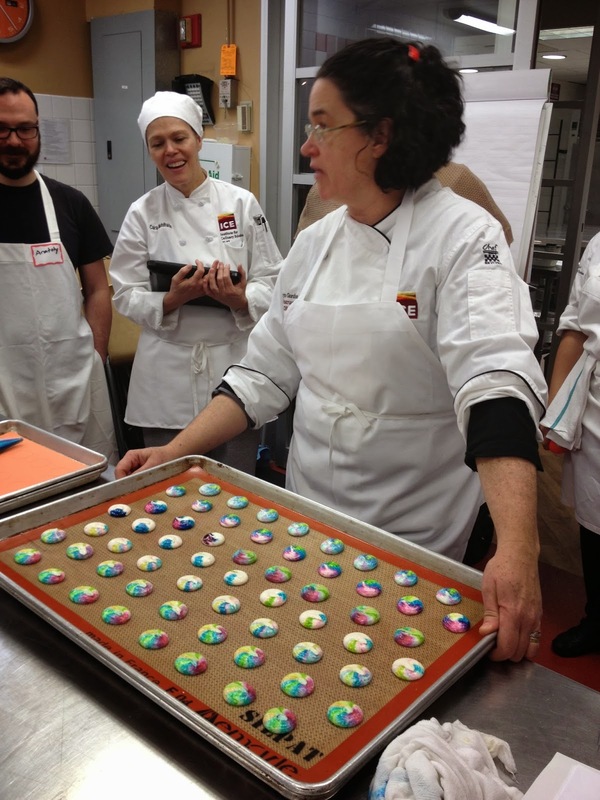 The encounter takes place at the Institute of Culinary Education during their “Macaron Mondays” program. 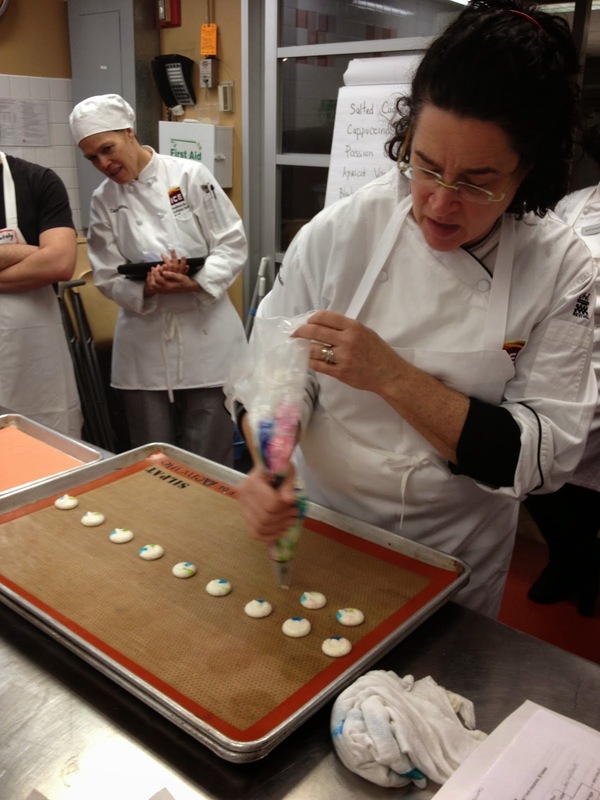 Chef Instructor Kathyrn Gordon is the co-author of “Les Petits Macarons” and knows the allure of the perfectly French sandwich cookie. She’s spent years researching and baking macarons. She quickly pipes out some quarter-sized macarons decorated with Jackson Pollack-style splashes of color, and explains that during the French Revolution, nuns baked macarons as a nutritious alternative to meat. Sounds like my kind of religious order. You’re looking for a classic figure in a macaron – a shiny, thin shell, with a “foot” around the shell – that slightly rough edge that meets the filling. I team up with a woman named Laura who I’ve just met and we get to work. We have our choice of colors and fillings, and she makes a passionate plea to color our macarons hot pink and fill them with strawberry guava filling. It’s just a little frou-frou and a very Pop Art choice, but when it comes to macarons, you might as well go all the way. Perhaps I’m besotted, but I think our macarons are some of the prettiest and shapeliest in the class. So here’s the thing about baking macarons. You have to be ready for a long courtship. A freshly baked macaron tastes hard and crunchy. You must “age” macarons in the freezer. The cookie and the filling need time to meld and develop that characteristic soft, chewy texture. It’s only a temporary delay. The deep freeze does nothing to chill the desire. This is not a one-night stand. I’ll be back for more. Love.